Creating a new page is useful to distribute information to students that may be too extensive to fully display on the main page. For instructions on how to add a page, see Moodle 3: Activities & Resources: Add a Page. In the General settings, instructors must provide a name for the page. Adding a description is optional. In the Content Settings, instructors must include the text, video, image, or other content. 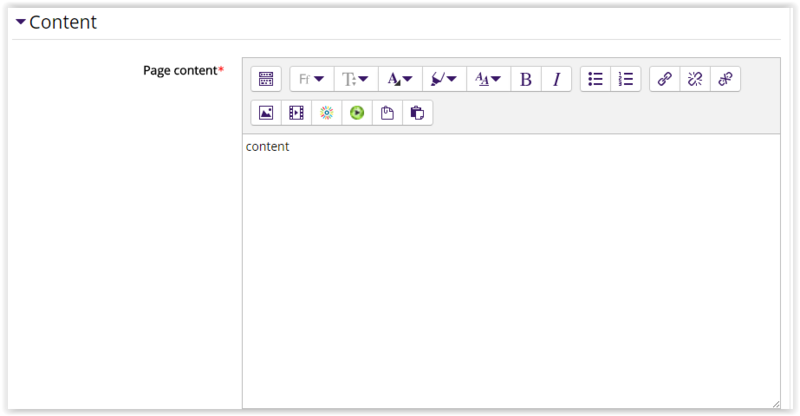 Instructors can also add HTML code in the content area by clicking on the first toggle button to expand the text editor menu. Next, click on the HTML button, which looks like "<>." In this menu, instructors must decide what information to include when students view the page. The options include the page name and the page description. These settings specify the visibility of the page for students (Hide/Show). The page can be restricted based upon a date, group, activity completion of another activity/resource in the course, etc. NOTE: If more than one restriction is added, students must meet EACH of the requirements before the page becomes available. 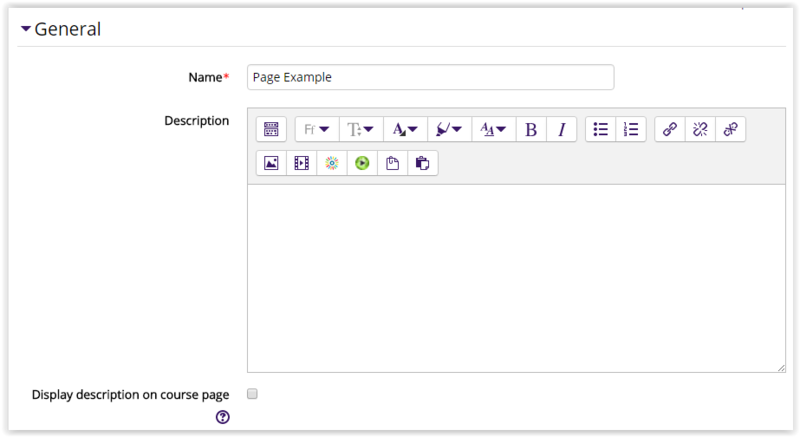 By default, students can manually mark the page as complete, but an instructor can change this to be required. If required, the students can be marked complete by viewing the page.